This new mosque stands near the desert ruins of Anau Mosque. Read more about our visit to Turkmenistan. 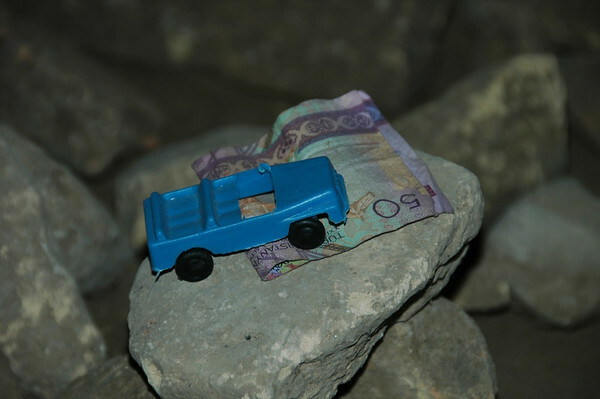 Money and a symbolic token are left as a wish (for the birth of a boy) at the Anau Mosque between Ashgabat and Merv. Read more about our visit to Turkmenistan. 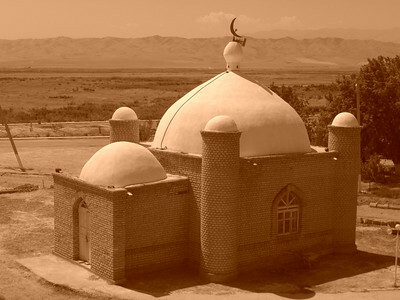 Anau Mosque (15th century) is on the route between Ashgabat and Mary. Sheikh Djemalledin is buried here, making it a pilgrimage site where people leave money and symbolic items in hopes that their wishes of having children will be fulfilled. Read more about our visit to Turkmenistan. 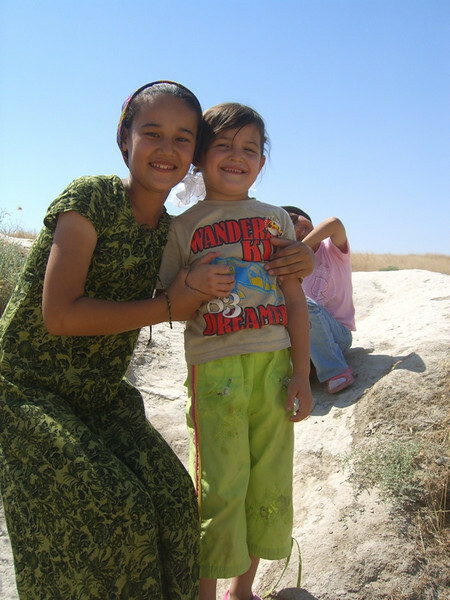 These girls served as our companions at Anau Mosque (between Ashgabat and Mary). ..They were shy at first, but quickly hammed it up for the camera. Read more about our visit to Turkmenistan. Our Russian bus waits for us on a hill overlooking Gonur Depe. It doesn't look like much from this picture - just a series of short walls, but the atmosphere is special. 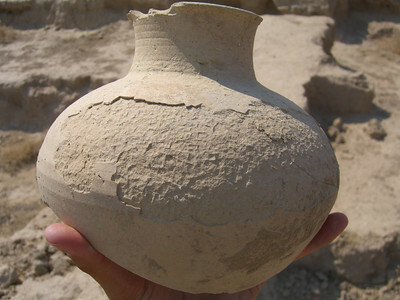 Intact ancient pieces of pottery and bones are scattered just about everywhere. Read more about our visit to Turkmenistan. En route to Mary, we stopped at a cemetery called Sehitli Sem. 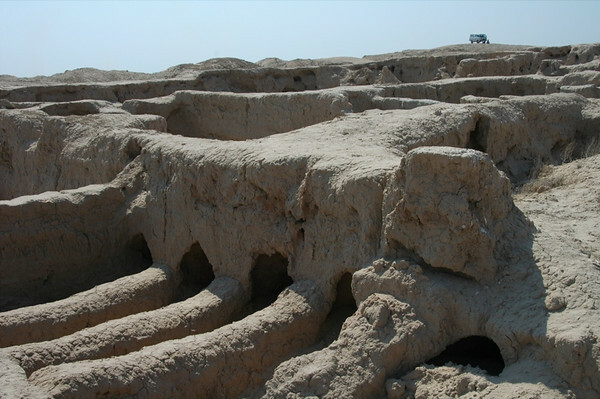 It is believed that the cemetery grew up around the grave of a Sehit (martyr in Arabic). 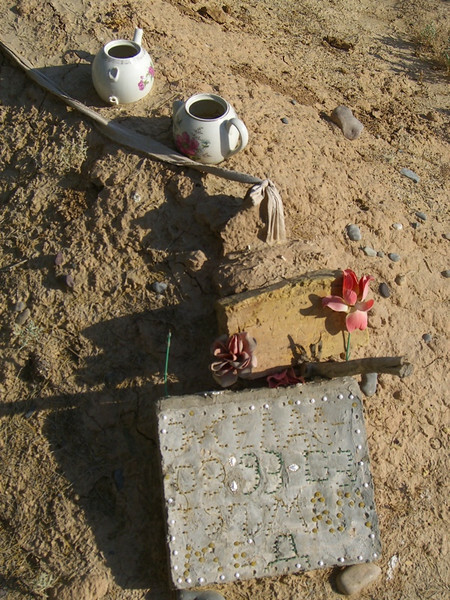 It houses both Turkmen and Kazakh graves. Read more about our visit to Turkmenistan. 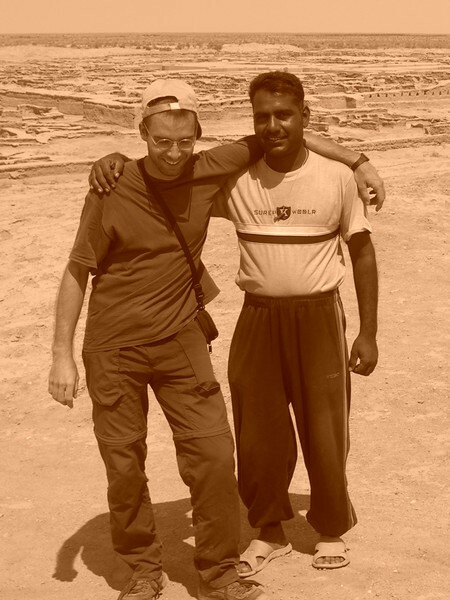 Blaz, our Slovenian friend (and geologist), breaks for a picture with the local archeologist at Gonur Depe. ..When he first requested we take the photo, he joked "Milk and Coffee." The sun at Gonur Depe is very strong and is quick to tan local hides...The ancient Gonur Depe cityscape stands in the background. Read more about our visit to Turkmenistan. 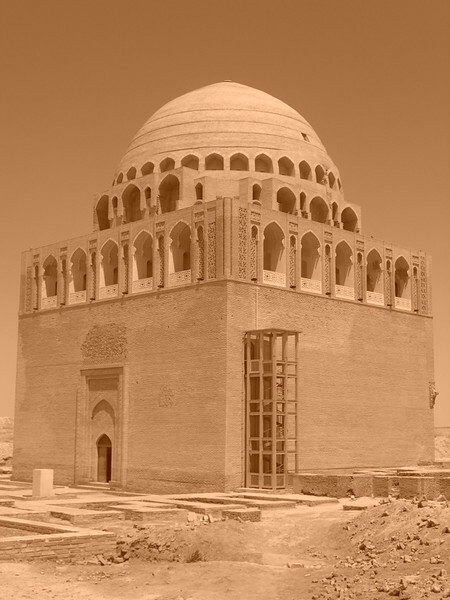 This building houses pilgrims visiting the Mausoleum of Mohammad ibn Zeid on the grounds of Merv. 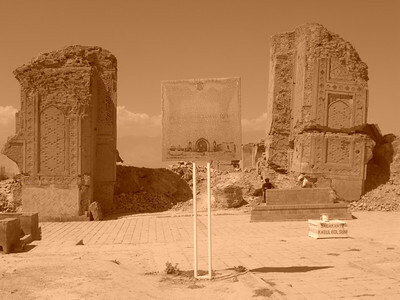 ..In Turkmen religious culture, it's an honor to be able to sleep and eat near a holy site. Read more about our visit to Turkmenistan. No one really knows that these tunnels were built for. Even the famous Russian-Greek archaeologist, Viktor Sarianidi, has not been able to confirm the reason for their existence... 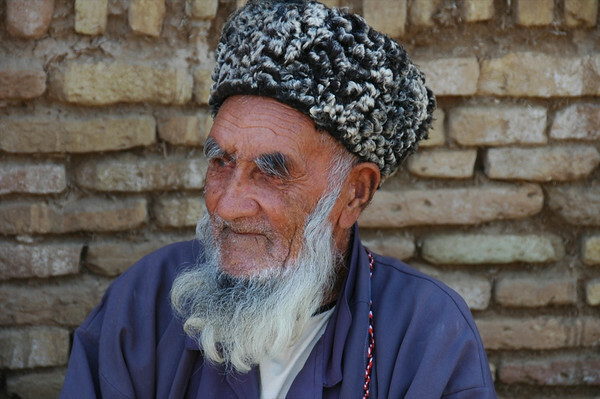 He does have a theory that Gonur Depe was either the birthplace of Zoroastrianism or its religious predecessor. Read more about our visit to Turkmenistan. 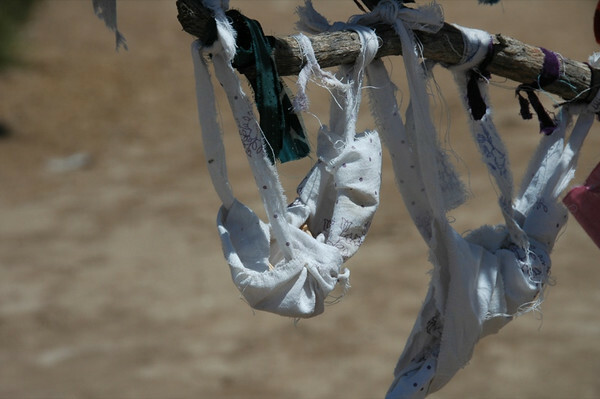 Pieces of fabric tied together in the shape of a cradle are tied to the saxaul tree outside the Mausoleum of Mohammed ibn Zeid. Read more about our visit to Turkmenistan. 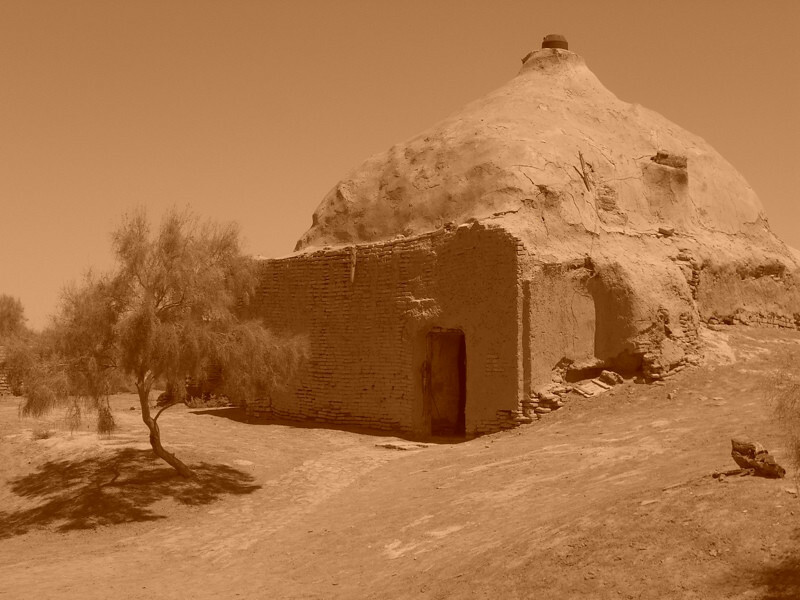 Composed mainly of one to two foot mud walls, the site of Gonur Depe (outside Mary) is not terribly photogenic. 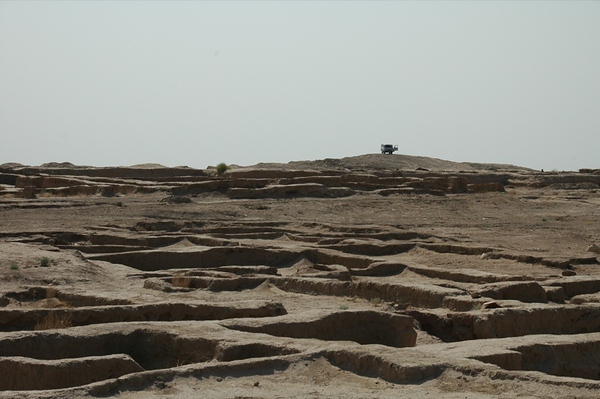 What makes it a fantastic place to visit, however, is that it still contains fragments of pottery and bones from civilizations dating back to 1500-2500 BC. It's easy to feel like an archeologist as you trip over and kick up surprisingly intact remains. Read more about our visit to Turkmenistan. People tie fabric and ribbons on the trees outside the 12th-century Mausoleum of Mohammed ibn Zeid in hopes that their prayers may be answered and their wishes fulfilled. ..This young boy was visiting the holy site with his family. Read more about our visit to Turkmenistan. This mullah tends the Mausoleum of Mohammaed ibn Zeid on the grounds of Merv. Read more about our visit to Turkmenistan. There are two almost identical structures (large and small) next to each other in Merv. 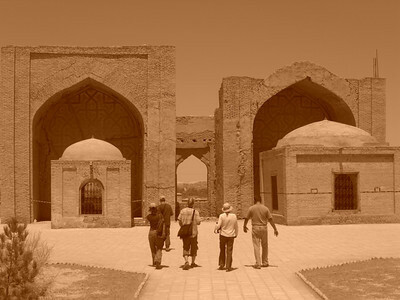 Originally built by the Sassanians in the 7th century, these were later used by the Seljuq sultans. Read more about our visit to Turkmenistan. This cow finds relief in the shadow of Kys Kala (small) at Merv. Read more about our visit to Turkmenistan. 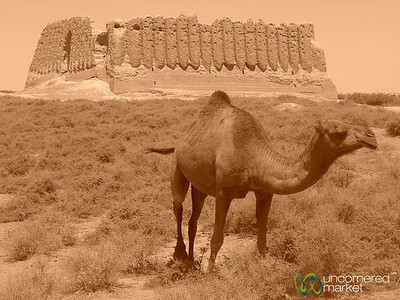 This camel wanders around the 7th century Kyz Kala at the ancient city of Merv. Read more about our visit to Turkmenistan. Our Slovenian-American-English group and our Russian-Turkmen guide (far right) visit the Timurid Mausoleum at Merv. 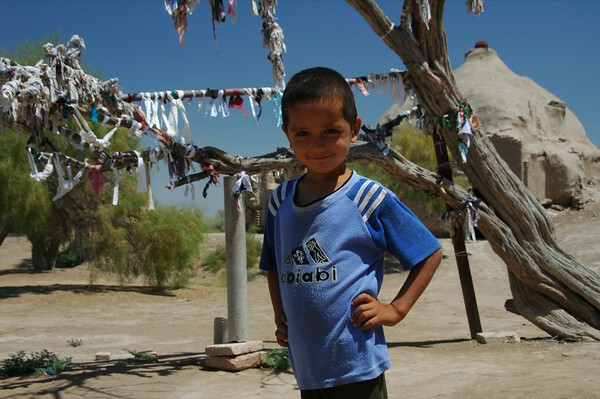 .. Read more about our visit to Turkmenistan. 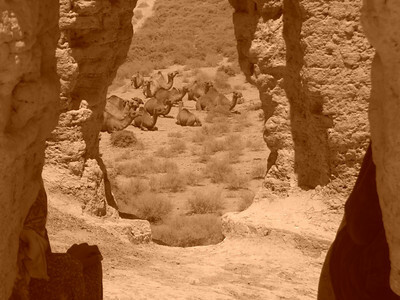 Looking out at a herd of camels from a gap at small Kyz Kala at Merv. ..The shepherdesses were inside shading themselves from the sun. Read more about our visit to Turkmenistan. In its heyday (i.e., 12th century), this mausoleum had a turquoise blue dome that could be seen a day's ride away (20-30 km). The mausoleum managed to survive the Mongol invasion in 1221. ..The building was recently renovated by a Turkish construction company in 2004, but the inside is already starting to fall apart. Read more about our visit to Turkmenistan. 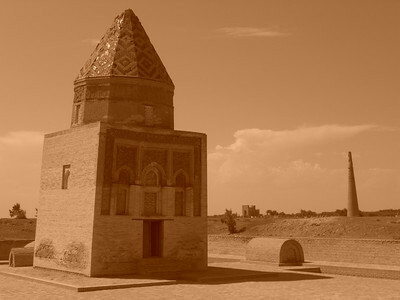 Il-Arslan Mausoleum has an unusual conical dome and is supposed to be Konye-Urgench's oldest standing monument. 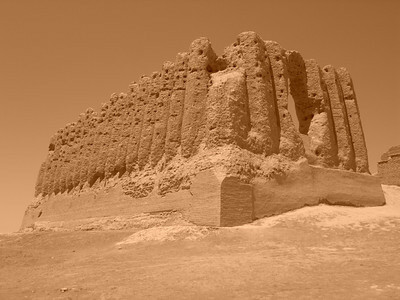 Gutlug Timur Minaret is in the background...Konye-Urgench is another UNESCO site and a major Silk Road city in Turkmenistan. 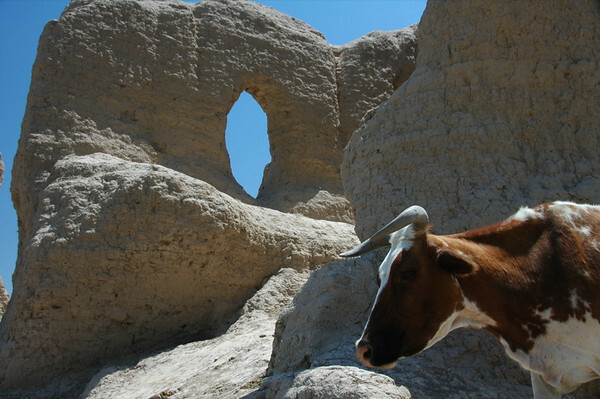 Like Merv, it was destroyed by the Mongol armies in the 13th century with only a few buildings rebuilt and still standing today. Read more about our visit to Turkmenistan.